A little while ago the SpaceX Dragon spacecraft was captured by the Canadarm2 robotic arm on the International Space Station. 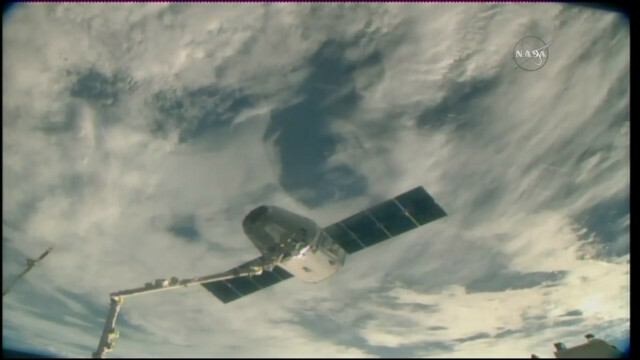 Ricky Arnold, assisted by his colleague Drew Feustel, managed the operation then started moving the Dragon to the berthing point at the Harmony module. The cargo spacecraft blasted off last Friday.